It’s never a breeze to launch your own business while simultaneously having to tend to a little one — as so many mamas (and dads) can attest to — but add on being an active duty member and you can only imagine how much of a challenge it can be trying to manage it all. But that’s exactly what our global member Evelin Bullard is doing. Currently based in Frankfurt, Germany, Bullard is in her sixth year of military service, something she felt empowered to do as part of her family’s history. She’s also a wife and mother to 4-year-old Frankie. While she’s always been interested in fashion, serving in the US Army has only intensified Evelin’s desire for the creative expression clothing can offer. And in addition to that affecting her own off-duty wardrobe selections, it’s also indirectly inspired her business venture, Frankie Moon. 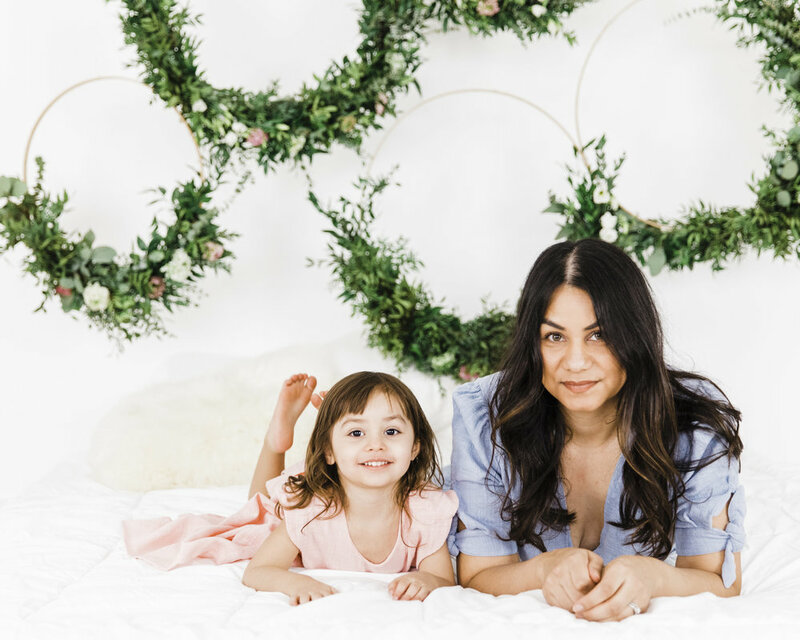 The kids clothing collection, named for her daughter, came about when the budding entrepreneur was pregnant and unsatisfied with the options she found on the market. Now, with a little help, Evelin is juggling it all: her military career, her new business, and her family life. Because of her unique story, we wanted to get to know her a bit better, so we asked her about how her days in uniform have impacted her sense of style, if Frankie is following in her fashion-focused footsteps, and more. Tell us about how you came to your decision to enroll and serve in the army. I decided to serve the military as a family tradition. My father served, both of my brothers serve as well. It just seemed right. What are some of the biggest lessons you've learned in your six years of service? I’ve learned so much in the last six years! One of the biggest lessons would be to always be open to change. I’ve moved four times in the last six years. Adjusting to a different location isn’t easy but that’s the life. We now live in Germany and being able to travel Europe is probably the best perk of being in the military. Another major lesson I’ve learned is discipline. I’m now so disciplined with everything I do. Considering you've spent to much time in a uniform, it must make you treasure the time you get to show your personal style. Can you tell us about your relationship to fashion? I’m in love with fashion! My weekends are all about expressing who I am as an individual. Fashion has been a passion of mine for so long and although I wear a uniform five days a week, I express through fashion when I can. I also think not being able to do it as often makes it that much more fun. And how did that lead into creating Frankie Moon? When I found out I was pregnant with my daughter Frankie and started shopping for her arrival, I couldn’t find pieces that spoke to me. That’s when I started making her wardrobe. As a result, Frankie Moon was created. Since your brand is named for your daughter, we’ve got to know: does she already have a strong sense of personal style? Frankie is obsessed with dresses and jumpers. She has a strong sense of style already and she’s only four years old. She picks out her daily outfits now and I am so amazed at her outfit selections. She has such a bold sense of style. Finally, how the heck you you manage (or try to manage) it all? I don’t know! It’s now second nature to me. Luckily I have such a great team that keeps my business life in order. Designing is part of who I am and I feel so lucky and honored to be able to serve, keep up my business, and be a mom. And as long as I’m able to, I’ll keep trying to do it all.